The UrbanWire finds out if the Singapore singer-songwriter is keeping up with his younger fans. Nathan Hartono returns with his Mandarin debut 2 years after his breakout performance on Sing! China. Photo: Leslie Kee, Warner Music Singapore. Seated at a corner of Warner Music Singapore’s office, Nathan Hartono thought hard as he pondered the meaning of “bop”. He’s close. But for the late millennials, “bop” is more widely used to describe a very good song. From SUS, GOAT to SHOOK, staying on top of the latest millennial lingo can be a challenge even for the Instagram-savvy Nathan Hartono, who’s a millennial himself at 26 years old. The singer-songwriter took on this challenge when he met The UrbanWire to plug his new single “爱超给电”, a Mandarin version of his 2016 single “Electricity”. “I’ve been extremely excited for so long now to finally get the ball rolling with new music, so I’m curious to see how the audience responds to my new stuff. I’m going for something fun yet unpredictable,” Nathan said. The Singapore heartthrob was better known for his English jazz and acoustic pop/folk styles before he competed in the Chinese reality singing contest Sing! China in 2016 and rose to regional fame. His new Mandarin single will be included in his first Mandarin EP, scheduled to drop later this year. On his new single, Nathan said it’s “a love letter to all shapes, sizes and colors of love”. Nathan Hartono (in blue) on the set of his music video with the cast of performers. Photo: Nathan Hartono’s Weibo. The recently-released music video was filmed in Tokyo, Japan, and it featured Nathan’s interactions with many unique characters such as an inflated dancing pig, Virgin Mary and an anime doll. As he prepares to release his full Mandarin EP, Nathan has been paying more attention to the language and using its sounds and tones to compose melodies. He frankly acknowledged that he still needs the help of a Chinese lyricist at this point, but he quipped: “I’m pretty decent at replacing different words to come up with something that is closer or flows a little better. 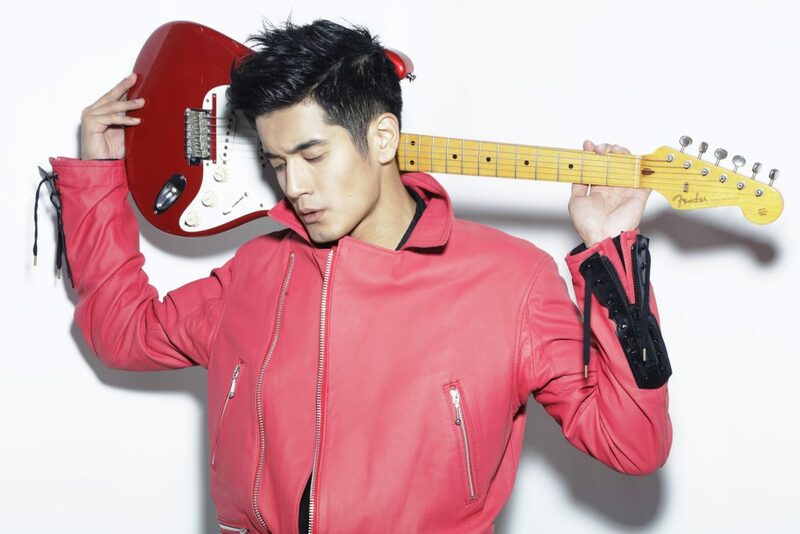 Nathan Hartono’s new music video for his Mandarin single.